I am really quite bad and should have written this post back in November, but what with Christmas blah blah, enough excuses, I just need to sack myself as a blogger. 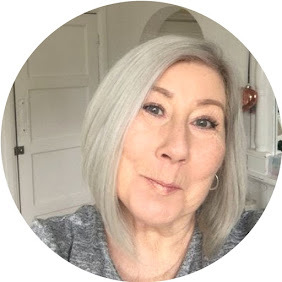 Aeos skincare ( Active Energised Organic Skincare ) is a brand that I had never experienced before being asked to try it out, I sampled the Optimal Essential Kit Which is suitable for all skin types. It arrived in a rather clever packaging kit, which was brilliant for keeping the products, stored out of the light and all in one place. Aeos are a completely Organic Company and have their own Bio Dynamic Farm In Lincolnshire. shire farm they also believe in the use of crystals and minerals to harness energy, you can read the company philosophy here http://www.aeos.net/aeos-philosophy.aspx. When first presented with this array of products, I was somewhat confused and overwhelmed, but on learning about the use it became quite simple to follow the stages of use. Bear in mind this is a complete skincare system. Cleanse with Gentle Cleansing Lotion followed by Gentle Exfoliant. Apply Energising Conditioner followed by Refreshing Hydrating Mist. Apply Realive Serum followed by Enriching Moisturiser. Cleanse and remove make up with Cleansing Oil de Maq followed by Dew Facial Wash. Apply Realive Serum followed by Energising Moisturiser. This to me was a major skincare routine, BUT they are fabulous products to use, really gentle with hardly any scent at all, and I felt Totally pampered by the processes, it made you feel as though you were giving yourself a total salon treatment. My favourite products from the range were. Energising Conditioner, which was a gorgeous gel like texture that left the most amazing film on your skin, and a perfect base for make up. 10 Years in the making, the company have a true love of purity and energy, reading about the farming and philosophy give you an idea of the Love that has gone into the making of this brand. Are organic products important to you ? do company Philosophies encourage you to use a brand, I'm curious to know. I am a total sucker for nice packaging, and you are right these are lovely.